The master-classes during this event are filling very fast. We have a limited number of spaces for both participants and observers. If you are intending to book a place, do not delay, as you may end up being disappointed. Could you please tell us when registrations close? Thanks. Registration will close at 9:00am Monday 3 September, 2018. Last edited by NBPCA on June 27th, 2018, 3:58 pm, edited 1 time in total. 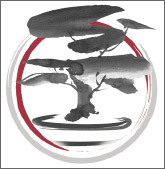 Jan Culek will present at the National Arboretum Canberra, International Bonsai Art and Culture Biennale & International Penjing Creation Conference in Canberra, Australia this September 2018. Jan Culek from the Czech Republic is a bright new talent on the international bonsai scene. He studied with renowned Spanish bonsai artist David Benavente and has a background in the history of art, painting and drawing. Jan’s expertise lies in the creation of rock planting style bonsai and penjing. Don’t miss an opportunity to participate or observe a workshop with such an exciting young talent. Visit http://www.act.gov.au/UniversalPenjing for more information and bookings. Chinese Junipers set among moss, ferns and stones have been carefully trained for thirty years by Australian artist Syd Green to create this tranquil Penjing. Inspired by the beauty, digital artist Jane Long has transferred the Junipers into a magical realm. Both artists will be exhibited at the inaugural National Arboretum Canberra, International Bonsai Art and Culture Biennale & International Penjing Creation Conference 2018 this September. Book now! Chinese penjing master, Mr Ren Xiaoming, is the Chapter Director of the China Garden & Landscape Association. With a wealth of knowledge and experience in pine bonsai and penjing, he is a regular and popular demonstrator throughout China. With an energy for powerful pine compositions, Ren Xiaoming will be sure to capture the attention of the audience as he styles Australian native trees at the National Arboretum Canberra, International Bonsai Art and Culture Biennale & International Penjing Creation Conference in Canberra, Australia this September 2018. Mr Zheng Zhilin from China has been creating penjing for more than 30 years and is the founder of the Penjing Leyuan Internet Forum and of the International Penjing Creation Conference (IPCC). This year's conference held in Canberra, Australia, features nine Penjing Masters and offers a fusion of tradition and modern penjing techniques. Take the opportunity to work on your own tree under the guidance of Zheng Zhilin in a Masterclass on Thursday 20 September 1:00pm – 4:30pm. It’s open to just eight participants, so book early to secure your spot. Bring your own tree and materials. Fan Shunli is one of the best and most respected penjing artists in China. He specialises in pine trees and is renowned for his fast, sharp and delicate technique. We are delighted that he is one of nine international demonstrators at the National Arboretum Canberra, International Bonsai Art & Culture Biennale and International Penjing Creation Conference in Canberra, Australia, this September. Meet one of our masters! Juan Llaga is an international demonstrator, judge, lecturer and a multiple bonsai award winner in national and Asian bonsai competitions. He is a pioneer in modern bonsai style in the Philippines and specializes in natural design, modern style, “fairytale style” and has introduced the concept of “Deconstructivism” in bonsai. NBPCA wrote: Fan Shunli is one of the best and most respected penjing artists in China. He specialises in pine trees and is renowned for his fast, sharp and delicate technique. Now that is a old Juniper. My back hurts just looking at it. Robert Steven is a master artist with almost 40 years of experience in creating and displaying bonsai. He is a multi-award winning artist and the founder of ‘International Bonsai Art & Culture Biennale’ which celebrates the collaboration between bonsai and other art forms. Robert is one of nine international artists presenting at the National Arboretum Canberra, International Bonsai Art & Culture Biennale and International Penjing Creation Conference, 18 – 20 September 2018, Australia. Malaysian bonsai and penjing artist Mr Wyn Lee has demonstrated his techniques internationally at many events over the last four years. A student of Malaysian international master, Mr Chong Yong Yap, Mr Wyn Lee now manages his own bonsai farm. The event is fast approaching. Never before have we seen 9 artists of this calibre assembled in Australia for an event like this. Registrations will be closing on 10th September. This is one event you will not want to miss. I am all paid up and looking forward to this event. Thanks for organising this Leigh.